Join Roots + Wings Yoga for a getaway in the woods reconnecting with nature + yourself. Find your flow along the St. Croix River. We’ll spend 2 nights sleeping in tents under the stars, centering with yoga, exploring Jay Cooke State Park, whitewater rafting with Swiftwater Adventures, chatting around the fire, and enjoying delicious food + each other’s company. Why Outdoors? Spending time in the woods, disconnected from the world does something that words just can’t explain. Being in the woods allows you to settle, to refocus, to remember what is most important. It allows you time to connect, time to think, time to reflect, to recharge, and time to set intentions. When we allow ourselves to disconnect from our phones, computers, and fast-paced life of today - we are able to fully reconnect with our true self and grow from that place of wholeness. Where Will We Be Staying? 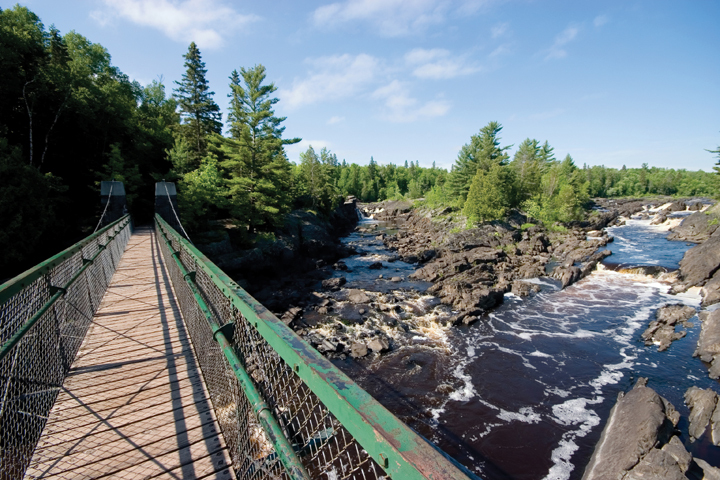 Our camp will be set up within the Jay Cooke Campground. We have reserved 4 campsites within walking distance of each other to accommodate our group, with one site that will serve as our main program space. Bathroom and shower buildings are located within the campground. Schedule subject to change. All activities + meals are included in cost. 5:30pm Whitewater Rafting with Swiftwater Adventures - we will stop along the way for some riverside yoga! Cost includes campsite fee, meals and snacks, and all activities. Need to borrow a tent + sleeping bag?